The other day I had a craving for meatball subs and wouldn’t stop until I had one. It was pretty rainy outside, so I just checked the cupboards for what I had – breadcrumbs (negative), milk (negative). 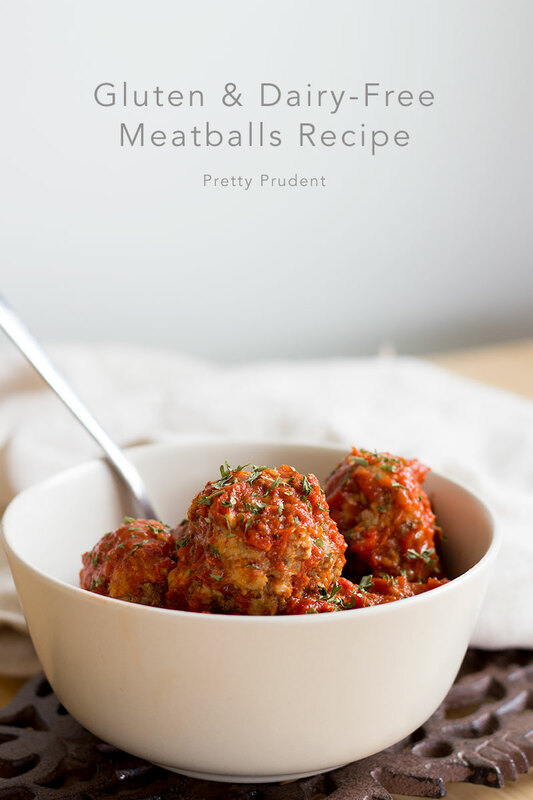 After some creative thinking, I cooked up a recipe for these healthier Gluten and Dairy-Free Meatballs that use rolled oats. They were a total success and taste delicious over zucchini noodles, or as a sub. Lightly beat the egg in a bowl, mix in all other ingredients, and knead together. Form balls to your desired size, I made mine about the size of a golf ball. Bake for 15 minutes on a greased baking sheet, flip, and bake for another ten minutes. 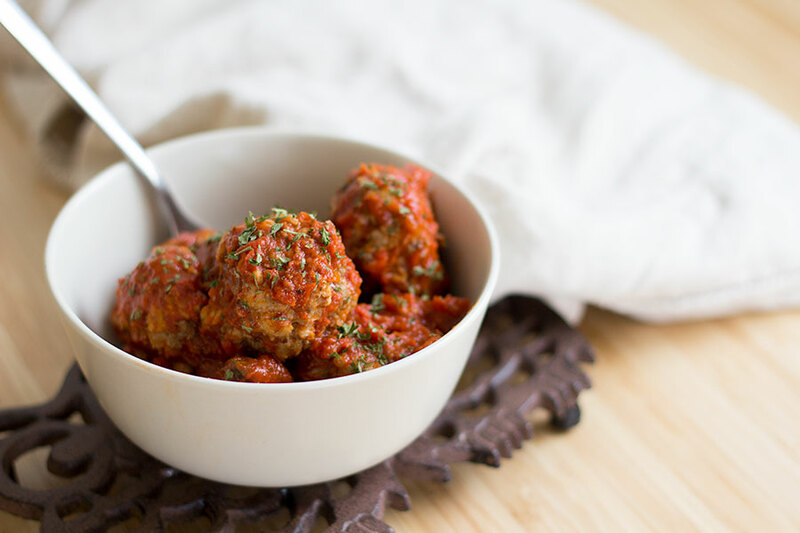 Remove meatballs from the oven and place in a pan with marinara sauce. Simmer for about ten minutes and serve. Thanks for the recipe. I only want to point out, in case anyone wanted to make these for someone who cannot have gluten, vs someone just looking to cut back, oats aren’t always GF. They need to be certified as they are often grown with wheat. But oats are great to use as a GF binder as long as younger the right ones. Thanks!